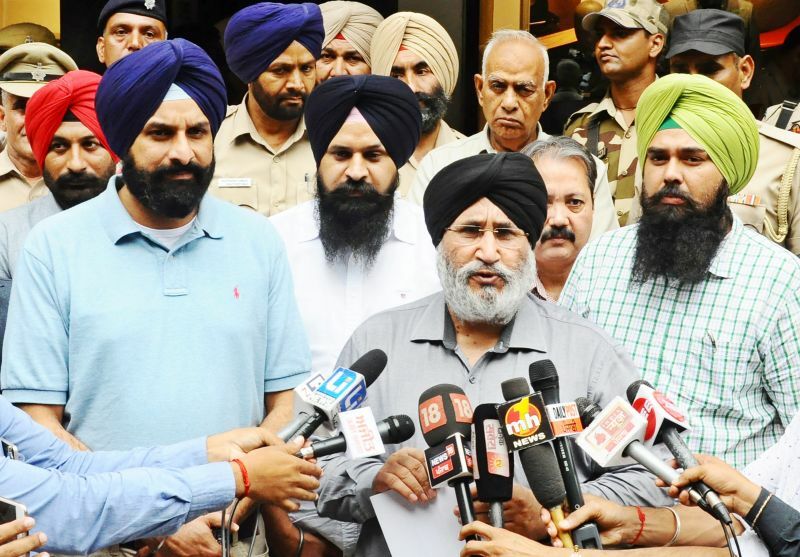 The Shiromani Akali Dal (SAD) – Bharatiya Janata Party (BJP) today asked the State Election Commission (SEC) to order an immediate high level inquiry into all incidents of violence during filing of nomination papers for the zila parishad and panchayat samiti elections besides deploying para-miltary forces to ensure a free and fair poll. The SAD-BJP delegation including Bikram Singh Majithia and Dr Daljit Singh Cheema from the SAD as well as Malwinder Singh Kang and Raj Bhatia from the BJP, also impressed upon State Election Commissioner Jagpal Sandhu to take action against both civil and police officials who had committed dereliction of duty by remaining mute spectators when Congress goons resorted to unprecedented violence and unprovoked firing. They also stressed the need to videograph the entire polling process on behalf of the SEC or allow candidates to do the same. 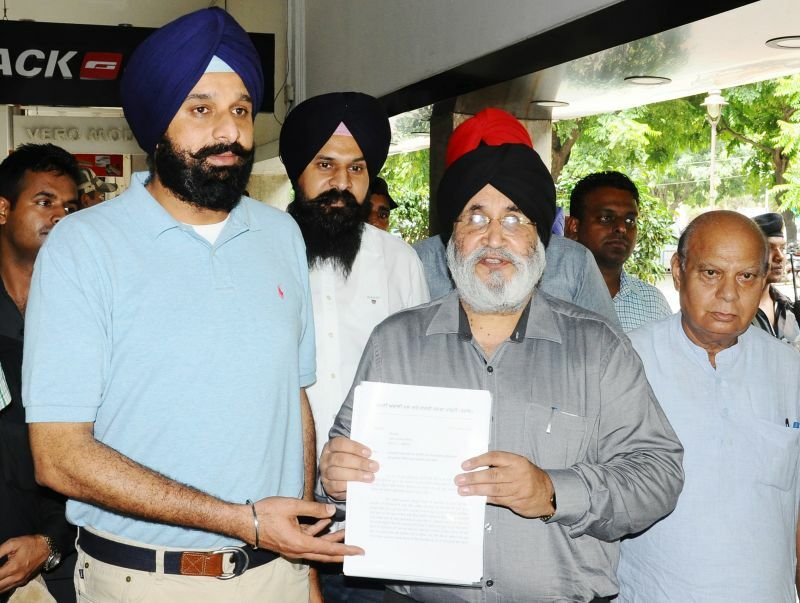 Mr Bikram Majithia briefed the Election Commissioner that the extreme intimidation unleashed by Congress goondas on SAD-BJP workers had resulted in no nomination paper being filed on behalf of the SAD-BJP alliance candidates in five blocks including Zira, Makhu, Guruharsahai, Dera Baba Nanak and Patti. He demanded that an opportunity by way of extension of time limit for filing nominations should be given in all these five blocks. 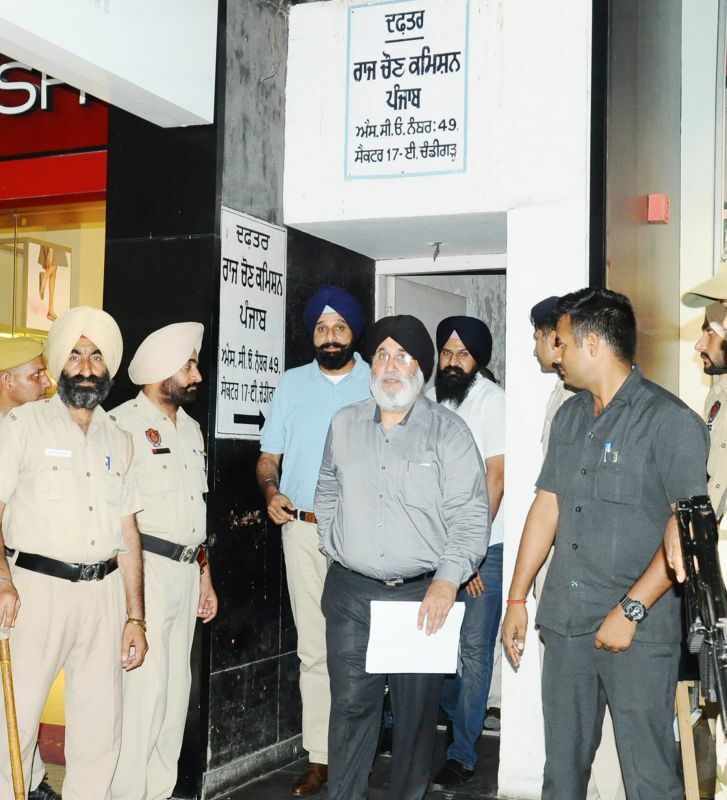 Dr Daljit Cheema told the Election Commissioner that in case all these steps were not taken expressly it would be next to impossible to hold free and fair elections. He said the atmosphere, which was already vitiated, could get worse and there was fear of large scale bloodshed in the elections. 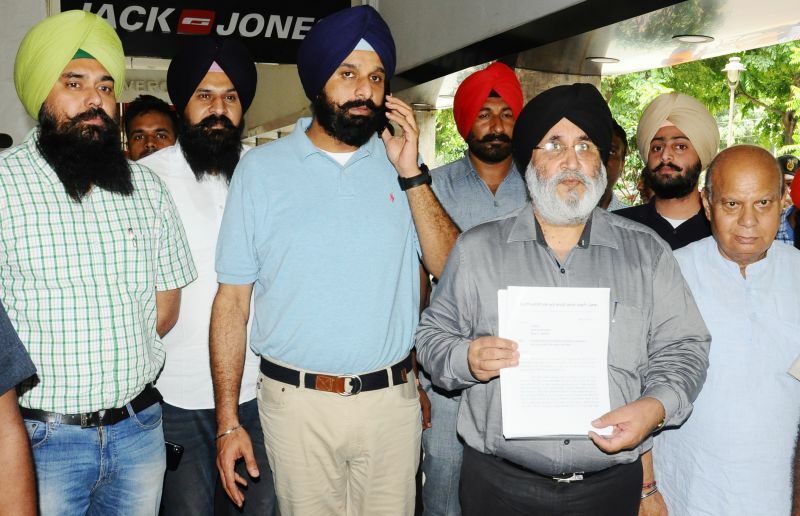 Dr Cheema later briefed newsmen after handing over a detailed memorandum to the SEC along with details of all incidents of firing and violence, including the two firing incidents at Tarn Taran and Dera Baba Nanak besides large scale incidents of snatching and tearing of nomination papers of SAD candidates. He said there was a general feeling that the Congress party had crossed the height of violence during elections to municipal bodies. “But now it seems even that was less. The State seems to be descending into jungle raj with Congressmen raiding houses of Akali candidates to kidap them, not allowing their rivals to enter administrative complexes by closing their gates, resorting to firing and pressurizing civil officials not to hand over no objection certificates to SAD-BJP candidates”. The delegation members earlier informed the SEC that certain Congress legislators and leaders had become habitual offenders as far as instigating violence was concerned and that they should be reined as per the law. It also showed a video of Zira legislator Kuldeep Zira to the SEC in this regard besides highlighting how even women candidates were intimidated and their papers snatched when they visited administrative complexes to file their nominations. The SAD-BJP leaders said the Congress party was resorting to this oppression because it had zero performance to its credit. They said the Congress was trying to force its writ in the zila parishad and panchayat samiti elections because it knew it could not go to the people on merit as it had failed to honour any of the promises made to them. “Farmers still await the promised Rs 90,000 crore loan waiver. Youth await implementation of the ‘ghar ghar naukari’ scheme even as dalits rue that even the benefits given to them by S Parkash Singh Badal have been taken away by the Congress government”, they added.